Create a shipment with just one package; unless the original box is in bad shape, it will ship out with the original packaging. Create a shipment and add special handling notes in your order online. 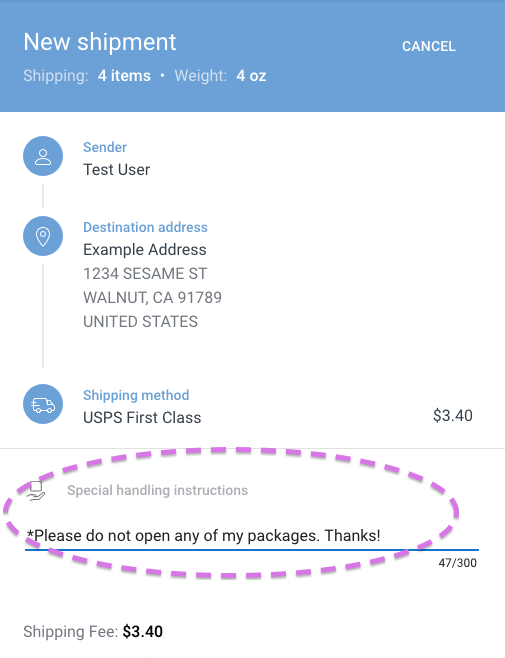 Do note that for international shipments, even if you request to keep everything in the original boxes, we reserve the right to open packages. We may inspect the contents for items that are forbidden, illegal, or restricted by U.S. Customs and Border Protection or the destination country’s customs.